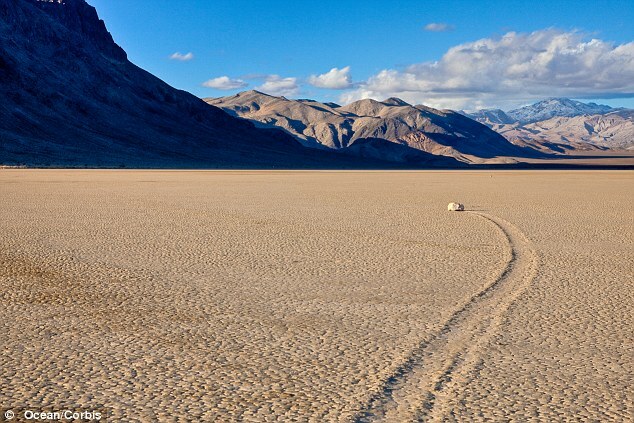 The Smithsonian magazine has an interesting article about the movement of stones on another playa, which is difficult for scientists to explain. 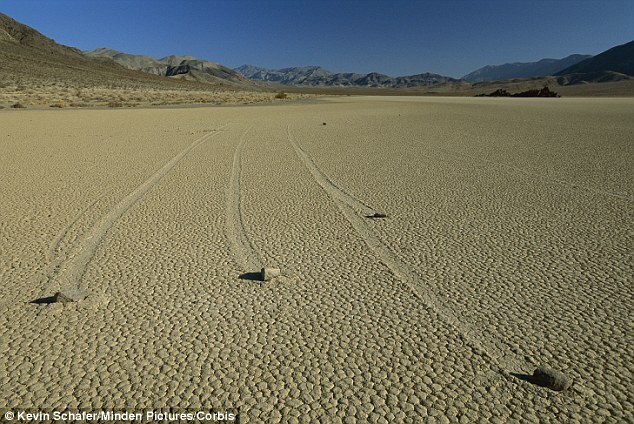 I wonder if the “playa serpents” have anything to do with this magical phenomenon? It certainly shows that we don’t at all understand the kinds of things going on in these ancient ocean beds. 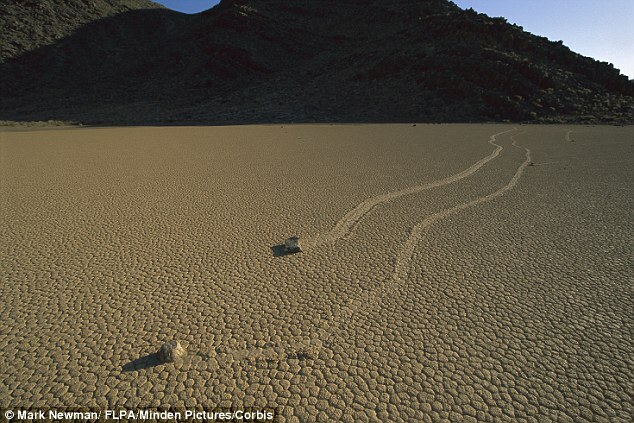 Staring at these “sailing stones,” you’re torn between a pair of certainties that are simply not compatible: (1) these rocks appear to have moved, propelled by their own volition, across the flat playa floor, and yet (2) rocks don’t just move themselves. But if they’re not magic, what really does cause the stones to sail? 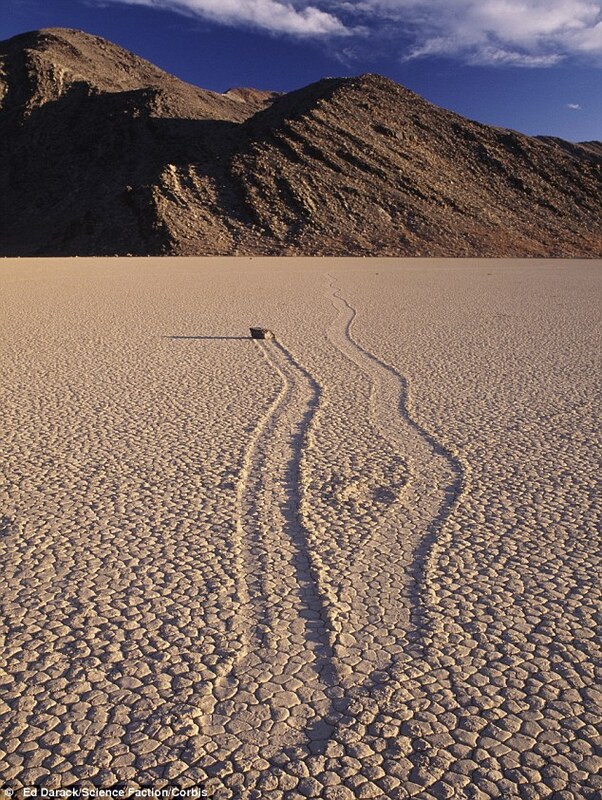 via How Do Death Valley’s “Sailing Stones” Move Themselves Across the Desert? 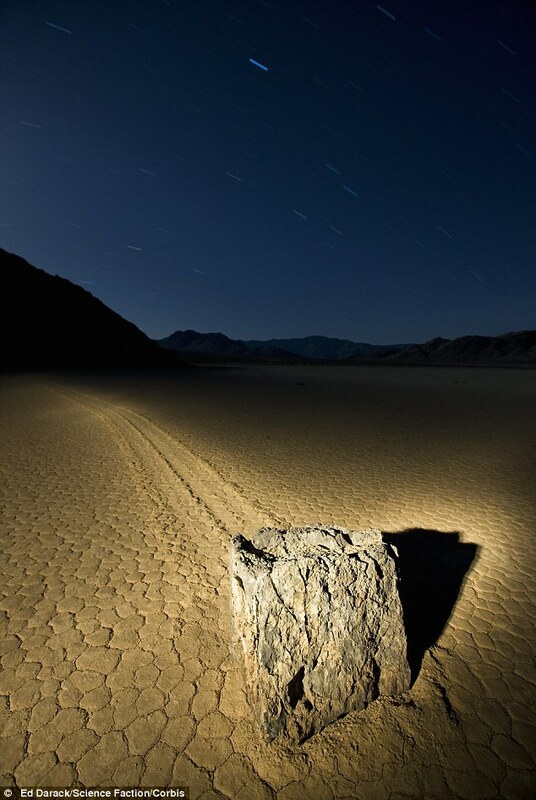 | Science & Nature | Smithsonian Magazine. Follow the link to the article for the explanation, I don’t want to spoil it for you. And I’m not sure that I believe their latest theory. I choose to believe in magic instead. 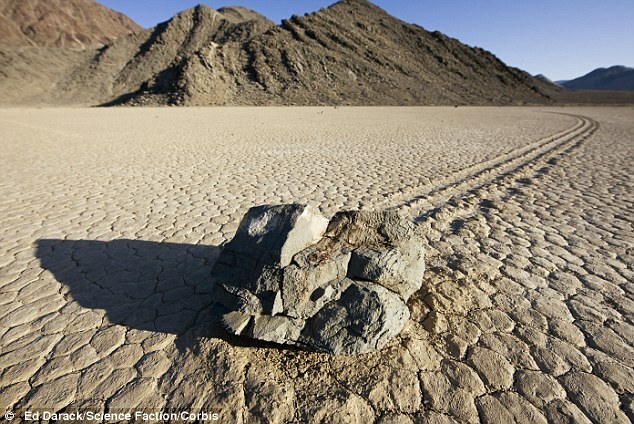 The ‘magic’ force behind these ‘sailing stones’ has been a mystery to scientists for nearly a century. this one looks like it changed direction. From wind? Yeah right. This next guy has a slightly different theory, and one that disproves Ancient Alien theorists to boot. He’s not a science expert, but he promises you’ll be 100% convinced by the end of his video. He has “a multi-dimensional sense of awareness and doesn’t see things in the way normal people would. When he looks at things, he sees other things. He’s that guy who looks at the clouds, and sees faces in the clouds”. A bit like NASA then. Or LUCIFER. Skip the first 10 minutes to get to the juicier bits.